Screenshot guide of how to unlock the Burnley comms tower with explanation about how to avoid the bug some players have. Collecting all Enigma Extortion File 9 will unlock additional information under Enigma’s profile. We did the searching for you and have screenshots, maps and detailed explanation on how to find all of Enigma datapacks in Industrial District for this collection. Small guide with screenshots and detailed instructions to help you unlock GCR comms tower in the Bowery district. During the mission Locate Black Mask you’ll have to find the entrance to Lacey Towers. In order to do that, use the first fast travel point, then grapple on the rooftop. Gotham City Royal Hotel Anarky Tag 15 is a hidden symbol under Gotham City Intel menu. Head towards north-east Diamond District map area. Go around the building and look for a parking lot. Head towards northern Diamond District map area. Huge EX-MAS builbord hides Anarky Tag. Scan it while in Detective mode in order to collect the tag. Soder Cola Anarky Tag 11 is a hidden symbol under Gotham City Intel menu. Head towards north-east Diamond District map area, and look for a huge bottle on the building wall or a neon sign Soder Cola on the rooftop. Hamilton Hill Anarky Tag 16 is a hidden symbol under Gotham City Intel menu. Head towards northern Burney, and approach Hamilton Hill building from the south-west. Mando Soap factory is located in the northwest part of Coventry map area. This Anarky tag is hidden on the west wall next to a huge pipe. Collecting all Enigma Extortion File 8 will unlock additional information under Enigma’s profile. All Files are hidden throughout the Industrial District and some of them are pretty tricky to solve/find. Collecting all Enigma Extortion File Eleven (11) pieces will unlock additional information under Enigma’s profile. You can find their locations and solutions to some of their puzzles inside of this guide. Enigma Extortion File 11 pieces can be found on Gotham Pioneers Bridge. Collecting all Enigma Extortion File Sixteen (16) will unlock additional information under Enigma’s profile. We did the searching for you and have screenshots, maps and detailed explanation on how to find all of Enigma datapacks in Diamond District for this collection. All datapacks from Extortion file 20 are hidden throughout Burnley map. In order to collect the set, first you need to unlock Shock Gloves, as part of main Story Mission, when you reach the security room in the Royal Hotel. To fill your Gotham City Intel database you will have to locate 32 Anarky Tags and Cyrus Pinkney Plaques scattered around the city. We have screenshots and walkthroughs for most of them grouped on this page to help you complete the game 100%. Hidden symbol numbered 32 under Gotham City Intel menu is Cale-Anderson Anarky. The sign is on the building in Coventry district, in the Northern map area, hidden on a wall, next to the bottom left corner of the hooked machinery. Anarky Tag located on Wayne Enterprises building is hidden on a wall next to delivery truck. The hidden symbol is located in Coventry district. It can be spotted in the central map area west of Lacey Towers. When you find a huge neon sign W ENT, glide down towards delivery truck on the street. Tag becomes visible only when you activate Detective Vision mode. Hidden symbol located in Coventry district can be spotted on the Lacey Tower building, in the central map area. Tag becomes visible only when you activate Detective Vision mode. Guide to help you defeat Killer Croc in the latest Batman game. We provide helpful tips and tricks for this boss fight. You can expect this fight at the end of the starting mission in Arkham Origins. Collecting all Extortion Files collected under number 13 will unlock additional information under Enigma’s profile. We did the searching for you and have screenshots and maps and detailed explanation on how to find all of Enigma datapacks in Coventry for this collection. Collectiong Enigma datapacks will help you decipher Extortion Files scattered all over the game. We located as many as we could and created screenshots guides to help you find any that you might have missed. 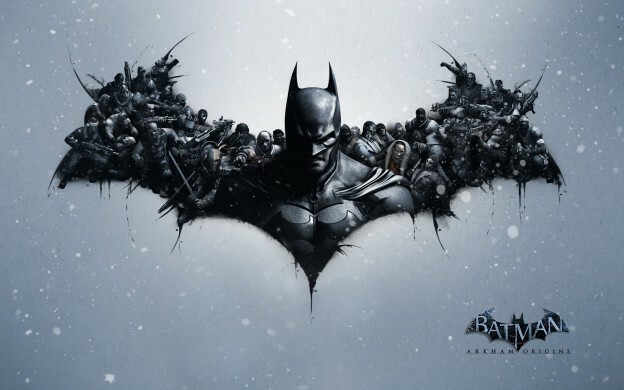 With Batman: Arkham origins just days away from release, the official launch trailer for the game has gone public. I know the trailer made me even more excited to step into the Dark Knights shoes once again, what about you?